Your pets are part of your family. Unfortunately, those pets can run into all sorts of trouble. From eating your Thanksgiving pies (tin and all) to congenital or chronic diseases, caring for your furry friends can be expensive. 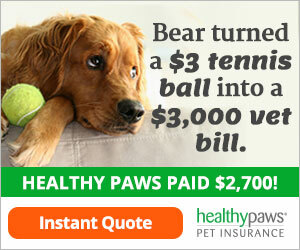 That’s why a pet insurance policy is so important for your pet and your finances. Your pet insurance covers essentially any accident, injury or condition that is not a pre-existing condition. Pre-existing conditions include any illness or disease that first occurred before your pets’ coverage began – including the waiting period before coverage starts. When you cover your pet with a health insurance policy, you can rest assured that illnesses and accidents will be covered under your policy. Your pet insurance policy enables you to visit any licensed veterinarian – including specialists and alternative care providers – and get reimbursed for your covered expenses. When you’re ready to file a claim, it’s simple and easy. You can submit your claims directly online using your veterinary hospital’s invoice. Your claim will be processed quickly and you’ll receive a reimbursement check in the mail. Having a pet is like having another member of the family. And when your pet is sick or injured, you can be stuck making difficult decisions – or left in a bad financial position. Pet insurance gives you the ability to provide your pet with the health care he or she needs, without dipping into your savings or rainy day fund. Your pet is your best friend – take good care of that friendship with a pet insurance policy.